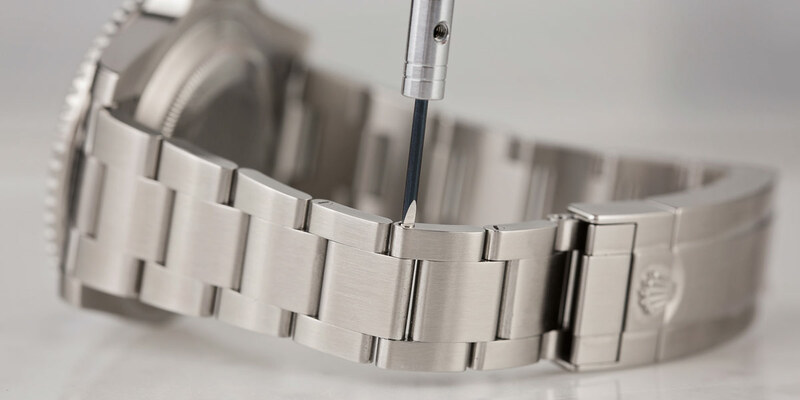 Whether you’ve bought a pre-owned Rolex watch that fits a little tight or need to extend your existing Rolex for a more comfortable fit, you can add another link to the bracelet yourself. 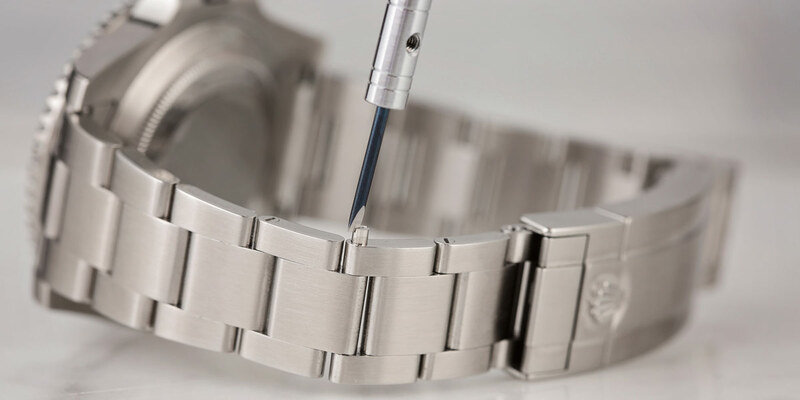 If you’re not sure how, read on to find out how to add a link to your Rolex bracelet. Changing a link is easy! Follow our guide below. First, what kind of Rolex bracelet do you have? 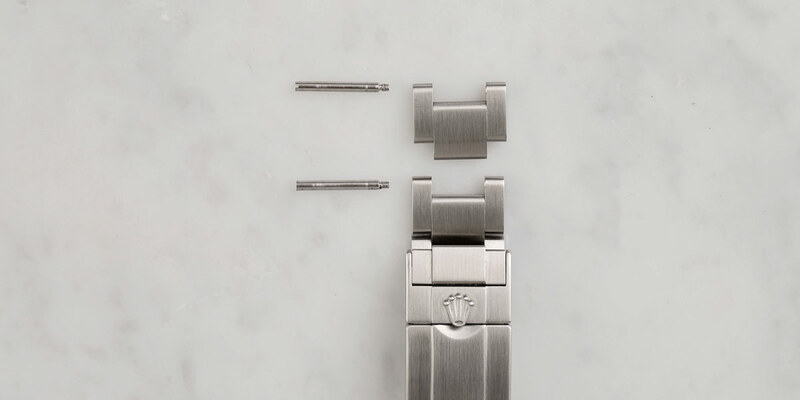 Rolex has produced a number of different metal bracelets over the years. There’s the sporty three-piece link Oyster bracelet that’s quite flat. 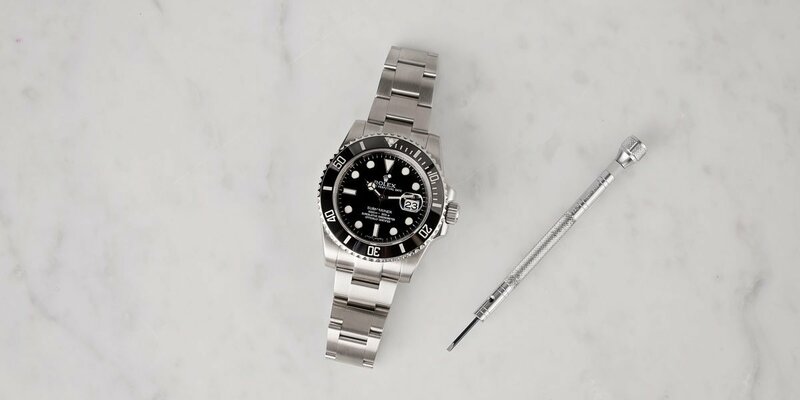 As Rolex’s most popular bracelet style, the Oyster bracelet is found on both Rolex’s sports models such as the Submariner, Daytona, GMT-Master, and Explorer, in addition to dressier models like the Datejust, Sky-Dweller, and Oyster Perpetual. The Rolex Oyster bracelet is available in stainless steel, gold, two-tone gold and steel, and platinum. 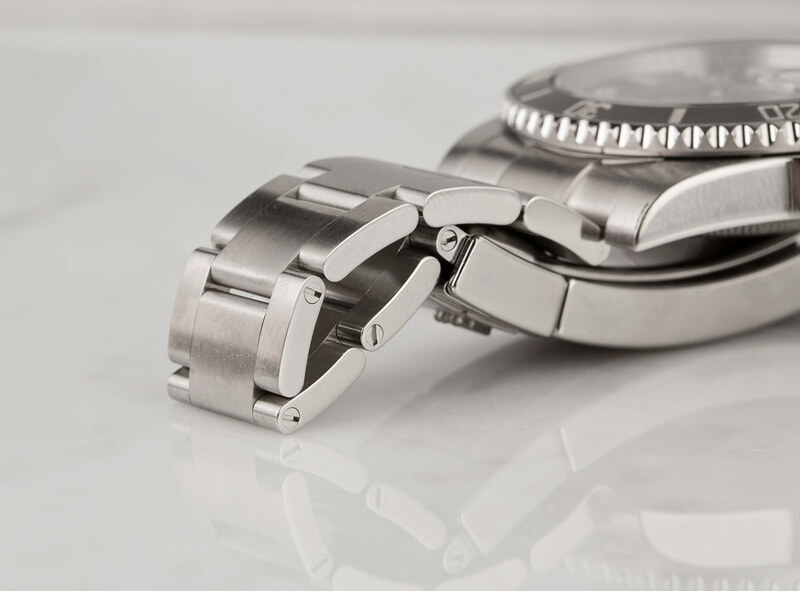 With just one tool you can resize your watch. There’s also the dressier five-piece link Jubilee bracelet, which made its debut on the Datejust in 1945. This bracelet includes two outer rows of larger semi-circular links bordering a set of three smaller links. As a more formal option, the Jubilee bracelet is typically found on Rolex dress watches such as the Datejust and the Date. The Jubilee bracelet is available in stainless steel, gold, and two-tone gold and steel. Finally, there’s also the iconic President bracelet that Rolex produced to accompany the first Day-Date watch in 1956. This bracelet features a three-piece construction of semi-circular links and its design is instantly recognizable by Rolex fans everywhere. As Rolex’s most prestigious bracelet, it is only ever made in precious metals such as gold and platinum and can be found in the men’s Day-Date collection and on select Lady-Datejust watches. While Rolex has made other bracelets, such as the Masterpiece, Pearlmaster, and integrated bracelets, the Oyster, Jubilee, and President are the most common. You will need a proper screwdriver to perform this task. Before you begin, make sure you have the correct extra link for your particular bracelet. Similar to their watches, Rolex enhanced, modified, and upgraded their bracelets over the years. So if you’re adding a link to the bracelet, it should either be an original one that came with your watch or one that you’ve sourced correctly according to bracelet style/version/year. This is important since all bracelets have a bit of history, thus there can be a handful of iterations of the stainless steel bracelet. Line up your screwdriver to the screws in the bracelet. 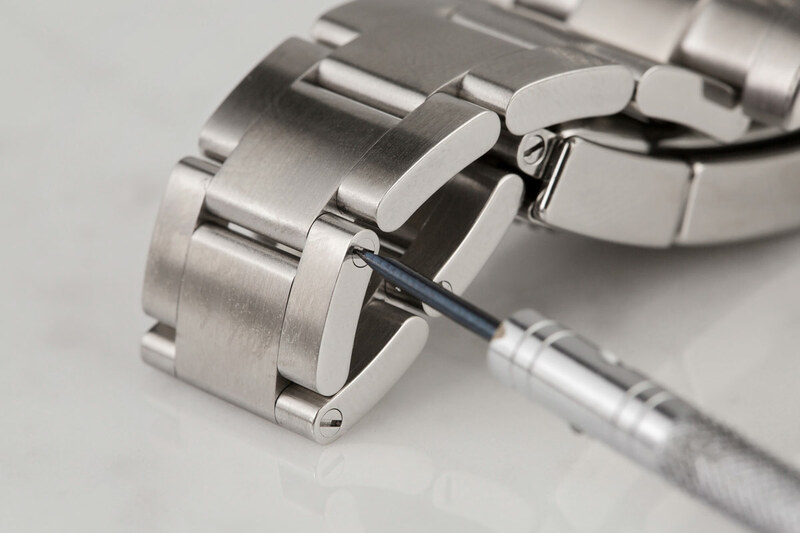 Decide where on the bracelet you want to add your link (try to keep the clasp as centered to the case as possible) and use the screwdriver to carefully unscrew the pin holding two links together. Pull out the pin and put it aside for safe keeping, as you will need this later on. Begin to twist your screwdriver until the screw pops out. Take your additional link that you want to add to your bracelet and remove the pin from it. Align the extra link to an open link on the bracelet, thread the pin through the hole, and carefully screw it back into place. Remove the screw entirely and add the additional link and connect the bracelets. Take the pin from earlier before and connect the two open links together, thread the pin through the hole, and screw it back, taking care not to scratch the bracelet. Lastly, screw in the screws to complete your desired size. Just like that, you’ve successfully added a link to your Rolex.